Are you speaking in terms of safe to the animals (i.e., not poisonous) or safe for the plants (the animals won't harm them)? Here is how we plan to help you, and then you can do some more detective work depending on what your answer is to our above question. This member of the Mr. Smarty Plants Team has never raised any farm animals, spent any time farming, nor gardened in New England. The Lady Bird Johnson Wildflower Center, home of Mr. Smarty Plants, is dedicated to the growth, protection and propagation of plants native not only to North America but to the area in which those plants are to be grown; in your case, Kent County, RI. So, using several different sources of information, we will give you some plants that are native to Rhode Island (teaching you how to search our database), the names of some poisonous plants and information on what animals eat. From Ask.com, What do Dogs Eat? From Ask.com, What Do Horses Eat? From backyard chickens.com What Do Turkeys Like to Eat? Next, finding specific foods for those animals. 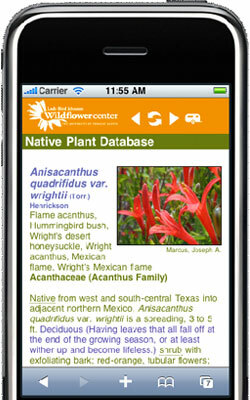 Go to our Native Plant Database and scroll down the page to Combination Search. Using the drop down menus, first, enter Rhode Island as the State, then select the Habit (grass, shrubs, etc. ), you already said you wanted Perennial under Duration. Next, check the appropriate box under Light Requirements, Soil Moisture and Size. Click on "Narrow Your Search" and you will get a list of all the plants fulfilling those descriptions that are native to Rhode Island. For different Habits and/or Light Requirements you will have to run separate searches. Toxic and Non-Toxic Plant List – Horses from the ASPCA. However, we can give you some websites you can check for whether or not a plants has poisonous parts and it is better to know the scientific name for the search. You should also check with your veterinarian to make sure some locally available plant has been proved to be poisonous that is not on any of the lists. February 10, 2008 - Hi I was wondering if there are native plant lists for various regions of Michigan. March 28, 2012 - Are there any plants that grows in Canada, US and Mexico? September 20, 2011 - I am looking for native alternatives to liriope for use in sun to part shade, moderate moisture planting beds. Would prefer evergreen options. September 15, 2006 - What are the native plants in the state of Texas?